GA731-II Rapier Loom is the perfect outcome based on consummate & professional technology and ten of years manufacturing experience. 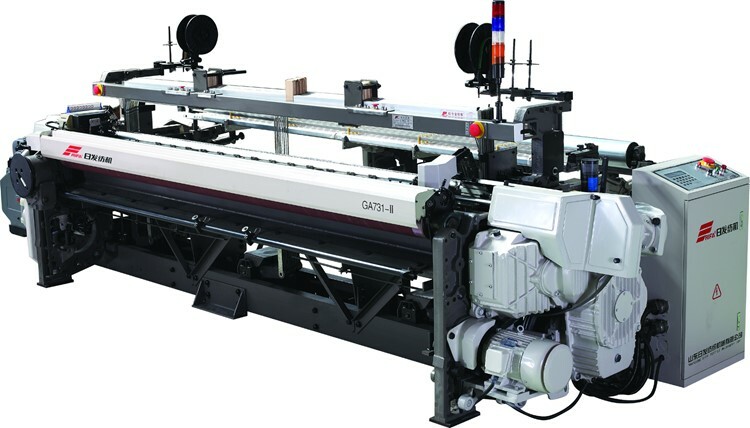 GA731 looms have the advantages such as ripening technology, stable performance, easy operation, multi functions, high performance, etc. Based on market demand and features of various Fabrics, we developed several series special looms from basic GA731 Loom such as jacquard looms, jute looms, industrial fabric looms, sunscreen fabric and net fabric looms and so on. which can meet various requirements for different Fabrics and bring good return to customers. Looking for ideal Net Fabrics Weaving Machine Manufacturer & supplier ? We have a wide selection at great prices to help you get creative. All the Wide Industrial Fabrics Loom are quality guaranteed. We are China Origin Factory of Rapier Weaving Loom. If you have any question, please feel free to contact us.